WAKE UP SLEEPYHEAD! Time to get ready for work. To come within 6200 miles? Should make for some great observations/pictures! I've been waiting for this flyby with some anticipation - the first high res pictures of Pluto is something to get excited about! It doesn't have any-it uses RTG's. If it did have solar panels, they'd get roughly 1/900 the power they would in earth orbit. Oh that's what I guessed but was not sure. Thanks for the info! I should look up to the shape of transfer orbit, it must have got a lot of degrees of inclination I suppose. After an exhaustive two-minute search, I couldn't find a thread on New Horizons' Pluto encounter, so I thought someone had to remedy. Launch occurs on Jan 19th, 2006, with an 8-day delay due to technical/weather issues, at 19:00 UTC. Pluto was still a planet back then! After the separation of the third stage, New Horizons becomes the fastest ever manmade object, travelling at a whopping 16,26 km/s! The probe crosses Mars' orbit on Apr 7th, 2006, travelling at 21 km/s. A few months later, on Jun 13th, it flies 101 867 km past asteroid 132524 APL (2002 JF56). New Horizons' data reveal that the asteroid is 2,3 km wide and is an S-type body. 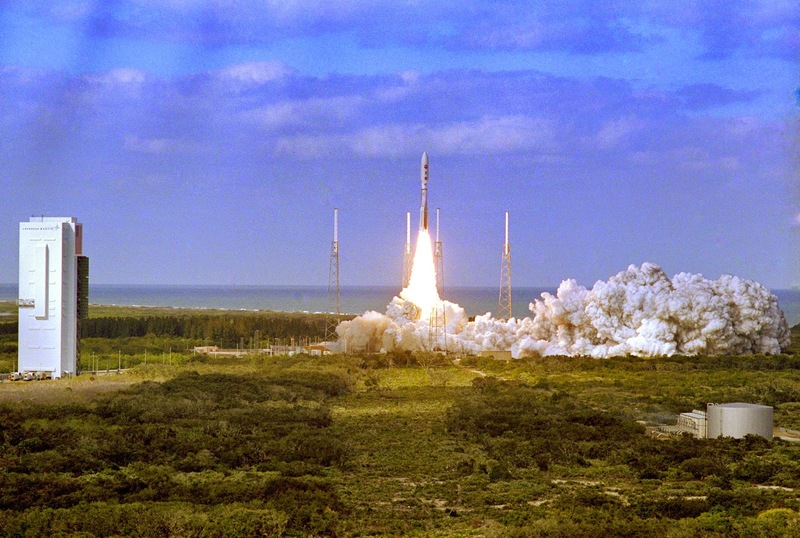 On Feb 28th, 2007, New Horizons performs a gravity slingshot at Jupiter, which gives her 4+ km/s of DeltaV for free! On Aug 25th, 2014, exactly 25 years after Voyager 2, New Horizons crosses Neptune's orbit and starts getting ready for the approach. On Dec 6th, 2014, New Horizons wakes up from its 18th and final hibernation before the Pluto encounter. No more sleeping now! How/When will New Horizons encounter Pluto? New Horizons' closest approach to Pluto will be at 7:49:59 a.m. EDT (11:49:59 UTC) on July 14th, 2015. The spacecraft will zip past Pluto, coming as close as 9600 km (6000 miles) from its surface, so close its cameras could distinguish a house if there were one on the surface! It will reach a minimum distance from Charon of about 27000 km (17000 miles), but note that these stats could change a lot (skip a few questions to see why). It's a bummer that we won't be able to get a Dawn-like survey of Pluto and Charon, but New Horizons would have to carry 1000 times more fuel than it actually does in order to reduce its relative speed of 43000 km/h by 90% and achieve orbit... so yea, not a viable option. Could New Horizons hit any debris/undiscovered moon/rings? Rings and small debris are a concern for the mission, but not small moons, which would be discovered well in advance. However, small moons can be quite a problem as they could potentially be sources of debris. Undiscovered small particles (pea size or even smaller) could pose a threat to the mission. The area where New Horizons will be flying should not have stable orbits of small particles. However, scientists want to be prepared for any contingency. On approach, New Horizons will be searching for small (undiscovered) moons. 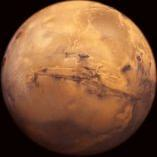 If it does find something that increases the risk to the mission, NASA has contingency plans that could be implemented. These contingency plans include the possibility of changing where in the Pluto system New Horizons will have its closest approach or flying antenna first to give some protection from impacts. However, the final trajectory must be chosen 13 days before the encounter. As the team said, "Our last chance to change anything is at P-13, where we can choose a different (already written) sequence." What will New Horizons do after Pluto? New Horizons' RTG will generate power at least until 2030. If NASA approves its extended mission, New Horizons will consume 35% of its remaining fuel and reach in Jan 2019 PT1 (1110113Y), a 30-45 km wide object orbiting at 43,4 AU and photographed 4 times by Hubble this summer. How will New Horizons prepare for the approach? Scientists are currently taking data with the plasma instruments to characterize the solar wind at these distances and the dust detector to learn about the concentration of dust particles in this part of space. They will be doing some calibration and test observations with the UV spectrometer (Alice) and in late January New Horizons will begin another series of optical navigation images using the LORRI instrument, a black and white high resolution camera (the first optical navigation campaign was last summer). The team is preparing with detailed planning including operational readiness tests and building science tools to analyze the data they will receive. How much of Pluto's surface will we see? When will the encounter images be relesead? As Kryten said, don't expect much from encounter day itself. However, New Horizons' team plans to realease at least some of the images right as they come down. All of the other images will come back in a lossy format by mid-November. Then we will get all of them back in a lossless format over the next year or so. As already mentioned, NH is the fastest manmade object ever launched: it reached the Moon in just 8h35mins! NH carries an ounce of Pluto-discoverer Clyde Tombaugh's ashes. He will become the first "human" to leave the solar system. On Dec 2nd, 2011, New Horizons became the closest ever manmade object to Pluto. Obviously, it has been getting even closer since then. NH receaves 1/1000th of sunlight compared to Earth! Yes, that's an eruption on Io! As a quick note, do not expect anything special on the day of the flyby. Probably for a few days after that, too. Bandwidth available at that distance is very low; the plan is for NH to store all data from the flyby on internal storage, then send it down over a period of a year or more. I'm just exited to get (partial) maps and other data on Pluto and its' moons. Pluto-Charon. Pluton? Plutaron? It is a double body. Thanks Kryten for pointing that out, it's actually a very important detail, as I imagine many people will be following the event around that day or so. Beautiful pictures! I love the way Pluto bobs around as it is attacted by Charon. Can't wait to get close-up pictures of Pluto later this year! How much Ã¢Ë†â€ v did Clyde Tombaugh's ashes cost NH? 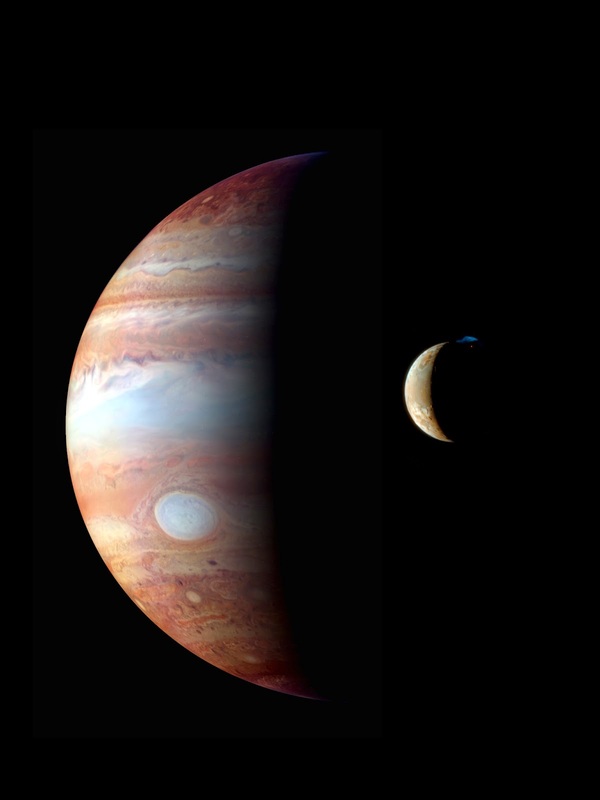 I really like that Jupiter-Io pic btw. I really like that Jupiter-Io pic btw. If I remember correctly, it's actually a montage, but still, it's beautiful. I must admit, that I'm getting a wee bit hyped as well. Have been looking up new horizons periodically over the years. PS: Yes, I know it's beyond silly, but I'm crossing my fingers for Charon to be a mass relay. More seriously... I've been curious on how similar or dissimilar it's gonna be to Triton and other icy moons, since I saw the voyager pictures of those. Now that'd be interesting. I can see the headlines: Alien Invasion through Charon! I wonder if, like Voyager, New Horizons will discover more Pluto-Charon moons. How far away is NH in terms of signal delay? It takes about 4 hours and 30 minutes for the radio signal to travel 32.29 AU. Just a little question, in the "Pluto and Charon's ballet" gif, what is that little dot to the far left and a tiny bit down? And the one to the far right and and a fair bit up? The other moons? EDIT: I just noticed 2 more little dots... So they're probably the other moons. I'm not sure, but I don't think they are the other moons. It took Hubble several months to spot them and New Horizons' view won't be better than Hubble's until February at least, so I believe it can't see the other moons yet. But that's just my opinion, I haven't yet checked if the orbits match or anything like that.